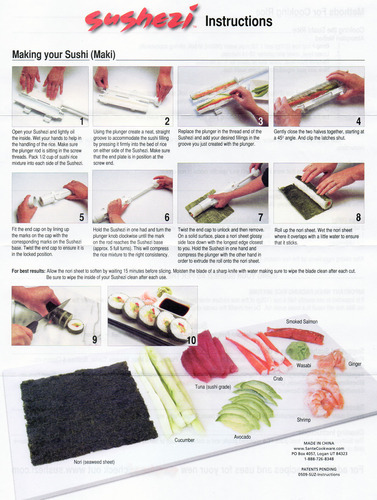 You basically open the tube, fill it with rice and fillings, compact it slightly and then push out your perfectly-formed cylinder onto a sheet of nori and roll. It is really, really easy. Sushezi, in fact. My kids like taking vegetable ones for lunch and I have found that they are fine made the night before and refrigerated. My only complaint is that you end up with a slightly larger amount of rice than most sushi, though this is certainly not a negative as far as my three rice-lovers are concerned. 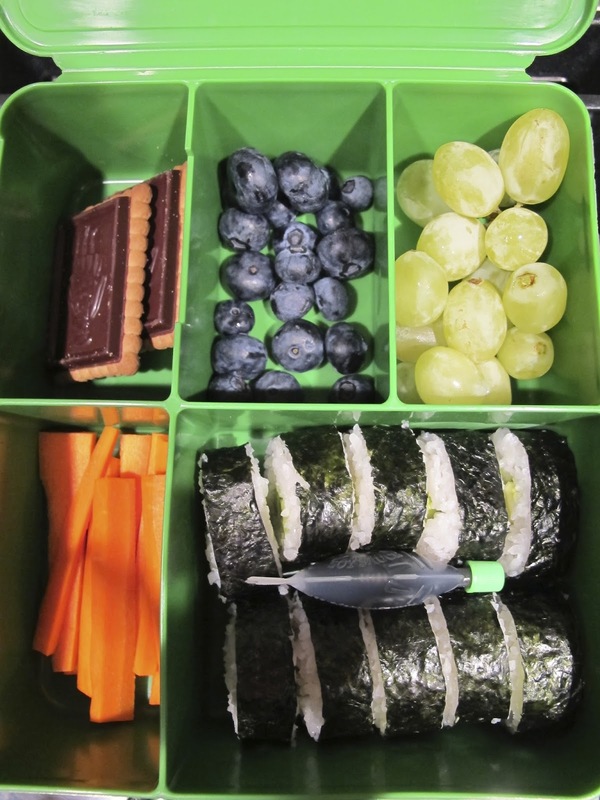 Put it in a cool bento box, and lunch suddenly became more interesting! And you can find a good sushi rice recipe here. Anyone have any other interesting things to pack in a lunch box?